In the wake of Hurricanes Irma and Maria, millions of Americans living in Puerto Rico and the U.S. Virgin Islands are experiencing extreme hardships. On the island of Puerto Rico alone, an estimated 3.1 million are without power, with no timetable on when it may be restored. On the U.S. Virgin Islands, 1,200 members of the National Guard are deployed to help with cleanup efforts, after the infrastructure was destroyed by the massive storm. While travelers may feel helpless in these situations, there are many ways they can offer aid to those living on the islands. Here are five easy ways you can can help two of our favorite no-passport-needed destinations in the Caribbean. Monetary donations can go a long way to support relief and rebuilding efforts. In addition to offering a tax deduction in certain situations, many legitimate non-profit organizations accept donations via credit card or PayPal — allowing you to earn travel points and miles with credit cards while helping others who are in dire need. United for Puerto Rico, set up by the first lady of the territory, is one of many groups organizing relief for those living in the nation. Other charities collecting for disaster relief include the American Red Cross, Save the Children, and UNICEF. While cash can help with immediate needs, physical supplies are also in great demand as residents put the pieces of their lives back together. United for Puerto Rico has put together a list of items desperately needed on the island. The most demanded supplies include bottled water, diapers, canned foods, garbage bags, towels, pet food, and over-the-counter medicine. As supplies shipped by individuals to the islands may be delayed, the easiest way to contribute is through local and national organizations. Groups like The Salvation Army not only accept the donations of physical goods, but also have the infrastructure to distribute items to those in need. Again, before making a donation, be sure to clear potential partners with the Better Business Bureau or Charity Navigator, to ensure your donations will go to their intended recipients. While cash and goods are the preferred donations of relief organizations, frequent flyer miles can help transport skilled workers and volunteers for the rebuilding process. All four major American carriers — American Airlines, Delta Air Lines, Southwest Airlines, and United Airlines — all allow frequent flyers to donate their miles direct to non-profit organizations in increments of 1,000 miles. Those who have extra frequent flyer miles to spare can use them to bring needed help to the affected areas at no monetary cost. However, it is important to note that frequent flyer mile donations do not count as tax deductible, nor do they provide other incentives for the donor — including the ability to earn cash back, points, or miles from travel rewards credit cards. In this context, travelers may be better off offering of cash or goods instead. As the residents bring their lives back to order, skilled workers and volunteers will be needed to aid reconstruction efforts now and into the immediate future. One of the best ways to get meaning out of a trip is to combine volunteer experience alongside your next vacation. Thus, “voluntourists” — or travelers who want to visit somewhere new while helping the local population — will be in demand as the islands slowly stabilize. There are many organizations that provide volunteer opportunities for those who wish to see new places and leave their destination in better condition. 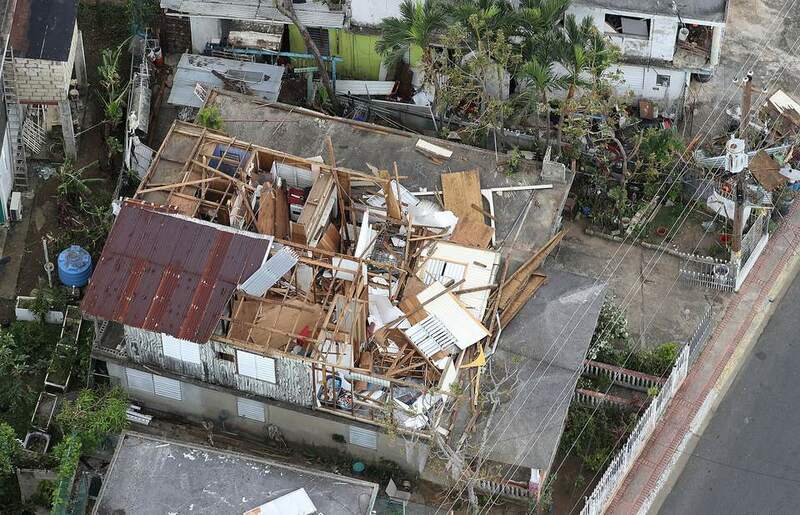 The Puerto Rico chapter of Voluntary Organizations Active in Disaster (VOAD) is actively recruiting volunteers, and will contact individuals who have skills that match their demands as they arise. Much like any donation, be sure to understand the obligation required before volunteering for a trip, as well as how the organization is organizing trips. In certain situations, “voluntourism” trips can do more harm than good. If donating money, goods, or volunteering to help is not enough, tourism can also provide a much needed boost after the islands have rebuilt. According to the World Travel and Tourism Council, travel adds $2.7 billion into the economy every year, while directly supporting over 20,000 jobs. Before planning a trip, be sure to understand when travelers will be welcome as tourists to the islands. Making a trip too soon as a sightseer may not be helpful or warranted, getting in the way of actual relief efforts and making individuals a potential target for crime.